Nonlinear two-dimensional Kadomtsev–Petviashvili (KP) equation governs the behaviour of nonlinear waves in dusty plasmas with variable dust charge and two temperature ions. By using the reductive perturbation method, the two-dimensional dust-acoustic solitary waves (DASWs) in unmagnetized cold plasma consisting of dust fluid, ions and electrons lead to a KP equation. We derived the solitary travelling wave solutions of the two-dimensional nonlinear KP equation by implementing sech–tanh, sinh–cosh, extended direct algebraic and fraction direct algebraic methods. 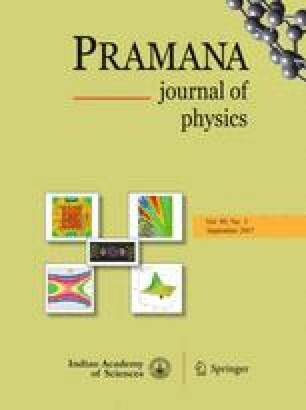 We found the electrostatic field potential and electric field in the form travelling wave solutions for two-dimensional nonlinear KP equation. The solutions for the KP equation obtained by using these methods can be demonstrated precisely and efficiency. As an illustration, we used the readymade package of Mathematica program 10.1 to solve the original problem. These solutions are in good agreement with the analytical one.